I like to use vnc on my ipad on my bed. I want the mac to go to a black screen so I can fall asleep while using the ipad, and not have to get up to shut down the mac afterwards. Is there anyway to turn off the imac screen without sleeping? I'm open to anything that minimizes the light - so if the backlight is off, that would meet the needs even if the screen is still drawing content. When the system sleeps, the display sleeps or a screensaver engages are all distinct states. The display is asleep when the backlight is off and the GPU doesn't bother drawing any signal to that display but continues to run. This is different than system sleep where everything except the RAM and network interfaces1 are shut off. 1: Network interfaces that support wake on lan (WOL) only do so when power not from a battery is available. Machines like the Air and newer MacBook Pro with no optical drives have the power button in the same place as the eject key and it works similarly for display sleeping shortcuts. Your first stop should be the energy saver preference pane. Dial down the Display sleep slider as short as you can stand it. If you don't want to wait for this time out, you could also set a hot corner and black screensaver so you could use VNC to set the mouse pointer to the corner to engage a black screensaver so the screen is as dim as possible until the sleep timer shuts off the LCD lighting as well as the data to the iMac screen. PS:. In Mac OS X Lion you can access hot corners in the Preferences pane under Mission control. you just dim the screen all the way down. The controls are beside the escape button in the top left. Not the answer you're looking for? Browse other questions tagged imac sleep-wake screen . How can I turn off a Mac's display without sleeping the Mac itself? Is there a keyboard shortcut for sleeping a display? How to keep MacBook Pro from stopping Time Machine when sleeping? 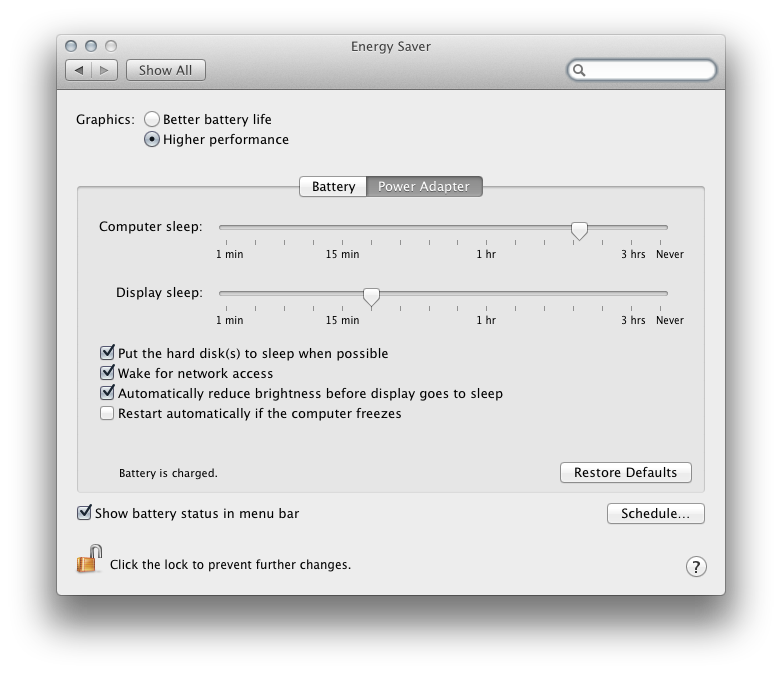 How to not let the system sleep when putting display to sleep with Ctrl+Shift+Eject in Mountain Lion? How do I stop my 2013 Macbook Air from putting the computer to sleep?